I Love local Farmers Market day. 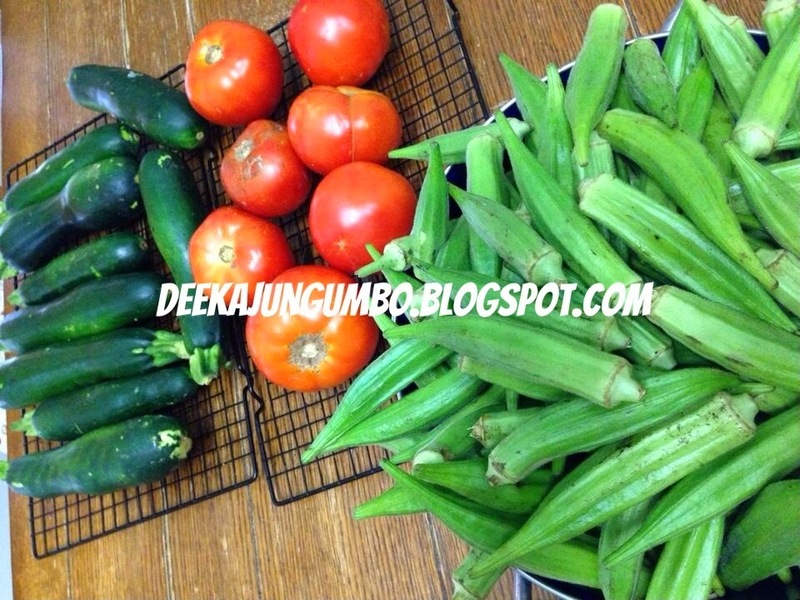 Today I stocked up on beautiful fresh, locally grown veggies like, zucchini, okra & tomatoes. I will cook tons of my Kajun Smothered Okra to freeze and enjoy al year. You can find my recipe here. Can't get much healthier than that! I love Farmers Markets too and are fortunate to have them nearby.